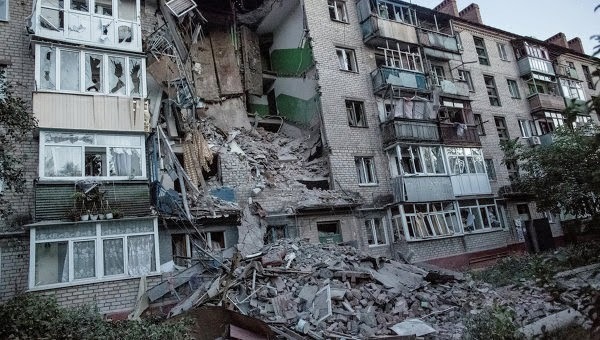 July 3, 2014 (Tony Cartalucci - NEO) - After a brief ceasefire, Kiev has resumed the bombardment of populated centers in the eastern breakaway provinces of Donetsk and Lugansk, both bordering with neighboring Russia. Kiev and its Western backers face a confounding dilemma - continue military operations in eastern Ukraine and create a heavily militarized opposition while racking up a troubling human rights record, or commit to a ceasefire and for all intents and purposes forfeit Donetsk and Lugansk just as Kiev has done regarding Crimea. While the United Nations has in recent weeks reported disturbing figures regarding the civilian toll fighting in Ukraine's east is taking, it has failed to report on or condemn Kiev's use of military aircraft, artillery, and heavy armor that are being used on cities and towns across the region. Pictures and video emanating from eastern Ukraine depict the devastation of air raids and artillery barrages, yet the West and its various "international institutions" have categorically failed to issue the same warnings and declarations made against other governments using military force within their borders such as Libya in 2011, and Syria from 2011 onward. While Russia's RT is accused of "propaganda" by the West, it appears to be the only news outlet with international reach covering the fighting in eastern Ukraine. 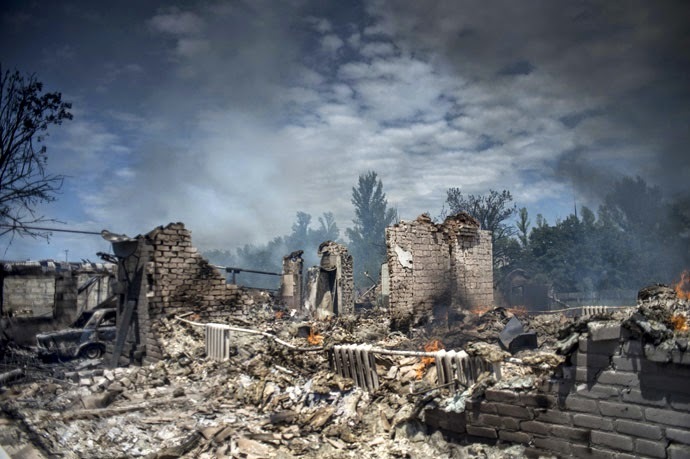 In its article, "‘Thanks, Ukraine Air Force’: Bombarded villagers accuse Kiev of killing civilians," the savagery of Kiev's renewed offensive is portrayed in horrifying detail. The West's decision to ignore altogether the fighting, only to issue vague, spun narratives blaming all violence on Russia does little to counter or discredit RT's reportage - in many ways, the West's silence vindicates RT's coverage. But even as Kiev brutalizes and belittles the people of eastern Ukraine, it is ultimately fighting a battle it cannot win. The fighters opposing Kiev's military incursions east appear to have established sustainable defenses. The downing of Kiev's military aircraft and the overwhelming of armored columns indicates a military prowess that will be difficult for Ukrainian troops to overcome - troops already suffering from disorganization and low morale - both of which are only increasing. The longer Kiev fights on, the more exhausted its troops will become and the more battle hardened their opponents will be. Additionally, Kiev suffers from multiple strategic disadvantages, including a lack of public support beyond the howling but small ranks of Ukraine's ultra-right Neo-Nazis. This lack of support will become increasingly acute when economic hardship begins digging in after multiple setbacks regarding Russian natural gas, and advances made by the European Union to draw in what little is left of Ukraine after the so-called "Euromaidan" began a process of sociopolitical and economic implosion. While Kiev battles eastern Ukrainians today, the prospect of those in the west rising up against an increasingly feeble government squandering state resources in pursuit of Western dictates is on the rise. Ukrainian President Petro Poroshenko's pursuit of an unwinnable war in the east coupled with merely rubber-stamping US-EU mandates regarding the Ukrainian economy is a recipe for growing domestic dissent that could appear in the streets of Kiev itself. With Kiev augmenting its floundering military with irregular, mercenary factions of questionable loyalty, those fighting for Kiev in the east today, could end up toppling the regime back in Kiev tomorrow. 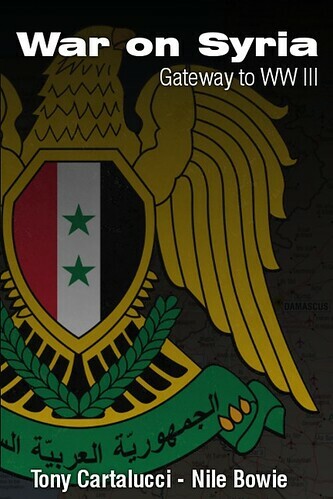 For those in the east, digging in and standing their ground is a literal matter of survival. The extremists that put the current regime in Kiev into power will make life untenable for the people of eastern Ukraine should they submit to the current Poroshenko government. This ensures protracted hostilities that will last long enough to overlap growing dissatisfaction in the west regarding Poroshenko's poor management of Ukraine in all other areas. In other words, Kiev faces a ticking time bomb created of its own incompetence and encouraged by those in the West that have propped up the current government in the first place. NATO's desire for a "Europe Whole and Free," or in other words, hegemonic expansion up to and beyond Russia's borders, ensures that its client regime in Kiev continues pursuing an agenda not in the best interest of the Ukrainian people, but ultimately on behalf of the special interests that devise and direct NATO's agenda. 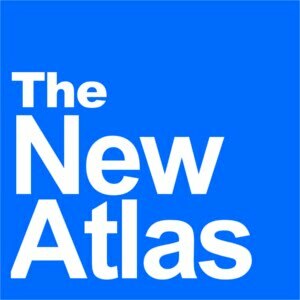 For NATO, its inability to incorporate Georgia and Ukraine into its supranational military conglomerate obstructs the perpetual expansion it needs to continue its survival. With its greater survival at stake, their is no risk it is not willing to take with Ukrainian lives and the greater stability of the Eastern European nation. The inevitability of this agenda - pursued at the cost of the Ukrainian people - provoking a backlash in western Ukraine, is guaranteed. The eventual fall of Kiev will spell the end of EU-NATO expansion. The inability of NATO to prop up one of its client states will destroy confidence across all other prospective members tempted by NATO's assurances. Both its methods of overthrowing the Ukrainian government during the "Euromaidan" protests, and its attempts to consolidate power afterward are well documented and being judged by an increasingly astute global public. The ability for NATO to perpetuate itself through these methods, driven by its current hegemonic agenda is as tenuous as ever. 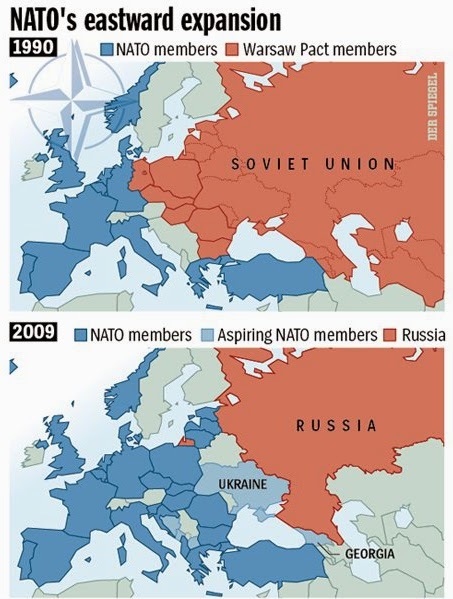 Should the expansionist momentum NATO established after the fall of the Soviet Union be ground to a halt altogether, decline and regression are sure to follow. With NATO's brand of hegemonic expansion swept aside, the world will be tasked with describing a new order with which to replace it. The multipolar world preferred by nations like Russia, China, and other BRICS members is already poised to serve this role. With the devastation of the West's unipolar model on full display in eastern Ukraine, the cause of establishing a multipolar world gives added impetus to those resisting Western advances both within Ukraine, and beyond.